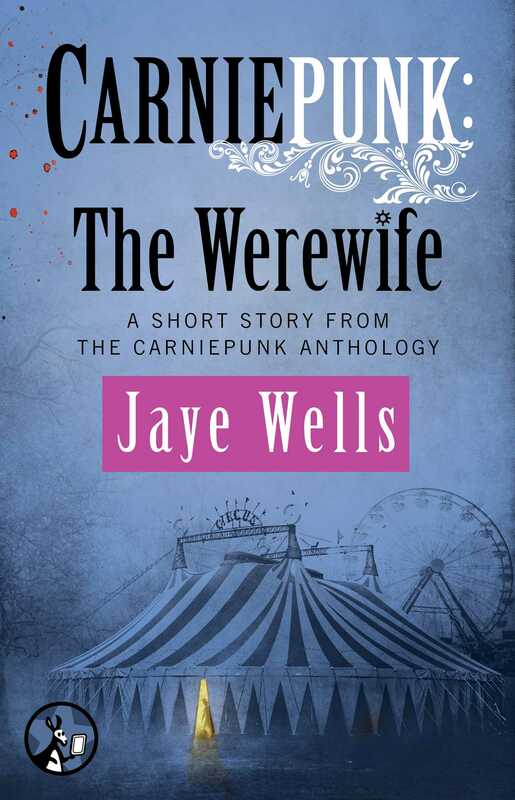 Chills and thrills abound in this wild story of marital discord and fuzzy threats from USA TODAY bestselling author Jaye Wells—from the Carniepunk urban fantasy anthology. One week after she is bitten by the dog-faced boy at a traveling carnival, a mild-mannered housewife gets a sudden, unrelenting craving for raw meat. She doesn’t remember eating the cat or running naked through the park under the full moon, but her husband’s getting strange calls from concerned neighbors. When he takes her back to the carnival a year later, looking for a cure, it’ll either get better…or a whole lot worse.